Dr Johns is a world authority on sleep medicine and has pioneered research in this field for 50 years. 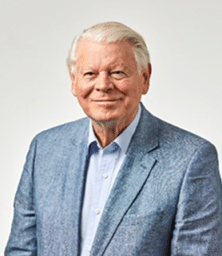 He developed the Epworth Sleepiness Scale, the internationally accepted scale of sleep propensity, widely used in sleep centres, research and clinical drug trials. Dr Johns’ research and development efforts provided the intellectual property for products manufactured by Compumedics Limited, which is listed on the ASX. He was also an Adjunct Professor at Swinburne University of Technology from 1998 – 2016. Dr Johns began his working life as a geologist, specialising in hydrogeology. However, he went back to university and studied medicine. After postgraduate clinical training in Internal Medicine at Alfred Hospital, Melbourne, he went on to do a PhD in sleep medicine. He was the first person in Australia to do so, at a time when the discipline of sleep medicine did not exist. He did full-time sleep research in Australia, USA and UK for eight years. However, he was unable to practice sleep medicine until he founded the Epworth Sleep Centre in Melbourne in 1988. His was the first private sleep laboratory and practice of sleep medicine in Australia. He retired from clinical practice in 2002, by which time the Epworth Sleep Centre was well known for its clinical practice and research, nationally and internationally. In 1994, he began to develop new technology for monitoring the drowsiness of drivers continuously. He called that technology Optalert. Dr Johns was the founding Director of Sleep Diagnostics, which was set up specifically to develop and commercialise that technology. Today, Sleep Diagnostics is called Optalert Pty Ltd with Dr Johns holding the position of Founding Director.